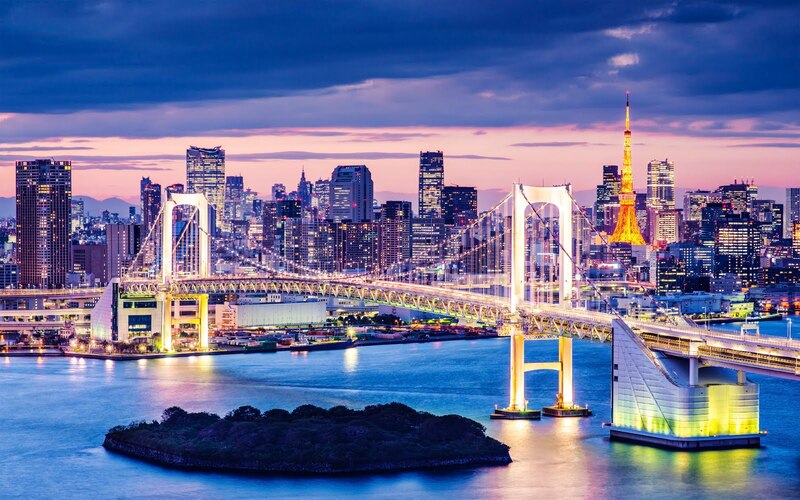 Odaiba is the only coastal stretch in metropolitan Tokyo to actually boast a sand filled waterfront; fortunate as it's designated to be the location of the 2020 Olympic Beach Volleyball tournament. It's home to shopping malls and exhibition sites, all utterly inaccessible except by car or taxi. If you can work your way through the convoluted road system that is. And then if you can find parking. 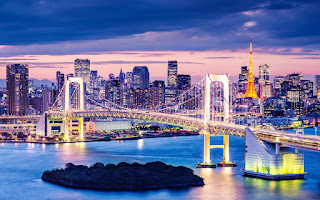 Located at the north approaches to Rainbow Bridge is was planned to be a model new town until funding was switch off by the new Mayor of Tokyo in the mid-1990's. 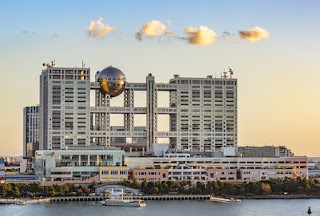 Fuji TV was already committed by then and their shimmering headquarters, with its floating, spherical office, dominates the view of the coastline. A slightly sad and lonely figure in stark contrast to the open, undeveloped land around. Being reclaimed land from the waters of Tokyo Bay, the area also suffered serious liquefaction following the earthquake of March 2011. Buildings listed and storm drains rose through the ground as it turned to liquid. But Odaiba wasn't reclaimed to simply build retail shops and amusement parks. It's history goes back a long way before that. Tokyo has been Japan's capital city since the days of the Shogun Ieyasu; the burgeoning population being sustained by supplies shipped through the inshore sea-lanes of the eastern coast. And it was under threat. At the direction of the Government, Egawataro Zaemon designed a defensive wall of batteries to protect the city from foreign invasion. 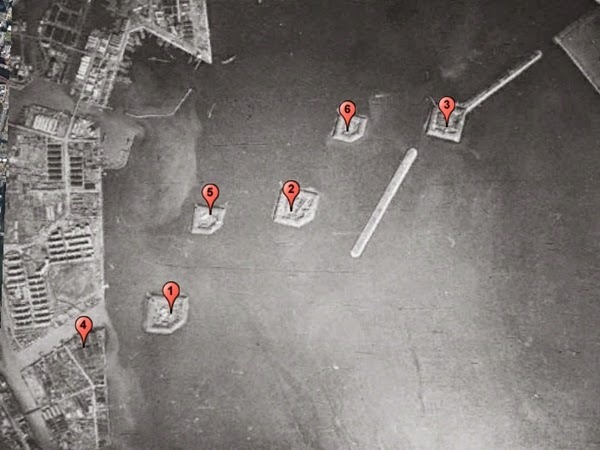 In less than twelve months a series of islands were constructed with gun emplacements and interlocking fortresses to defend again the imminent threat. But this wasn't 1945 and the threat wasn't Admiral Nimitz. 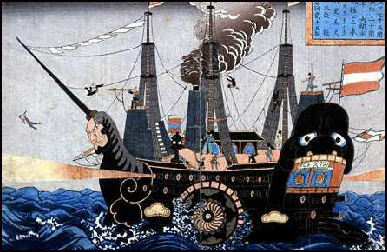 It was April 1854 and Odaiba was part of the defences against Commodore Perry's Black Ships. Who arrived in January, three months early. And the guns were never set.